Options has been one of Mumbai’s leading fashion retail brands since 1985, giving the city of Mumbai its first multibrand fashion mall. The company, started by Mr.Girish Patel a thriving visionary from Gujarat, made its foray into real estate in 2005. 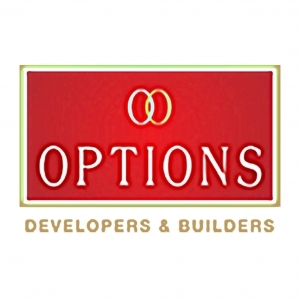 Since then, Options Developers has succeeded in creating state of the art developments spanning over 40 Lakh sq ft focused around the western suburbs of Mumbai. The core beliefs of Options Developers manifest in an unending dedication to superior quality, finesse and flawless execution. We aim to transform the face of Indian real estate, in both, the swanky Commercial sector and the increasingly individualistic Residential sector. Over the last decade the company has built for itself an unshakable reputation for quality, efficiency, top quality amenities, contemporary designs, timely completion and handing over of projects. The options group is today considered one of the most respected and rapidly growing organizations amongst the Mumbai’s real estate developers. The company’s portfolio encompasses residential, retail, commercial. They have delivered projects to their credit averaging to 40 lac square feet. The aim is to expand horizons and develop over lac square feet of premium living spaces in the coming 3 years.